When I made my 101 in 1001 list, I decided I wanted to make a busy bag for the Wingman. When my sister suggested doing a busy bag swap, I was so excited! My sisters and I each made three sets of two different busy bags. One set we kept for our own kids and the others we mailed to each other. After scouring the internet, I finally decided on the two that I wanted to do. This post was my first inspiration and what made me decide to make foam shape puzzles. I couldn’t find self-adhesive foam shapes, so I just bought a pack of half sheets. I definitely understand why the lady in my tutorial recommended the self-adhesives, though!! It was painstakingly time consuming trying to trace and cut out these shapes. Being the uncreative person I am, I based most of my patterns off of the ones shared at Tot School. When I ran a Google image search, I came across this post at Vista Woman. I love her patterns as well! 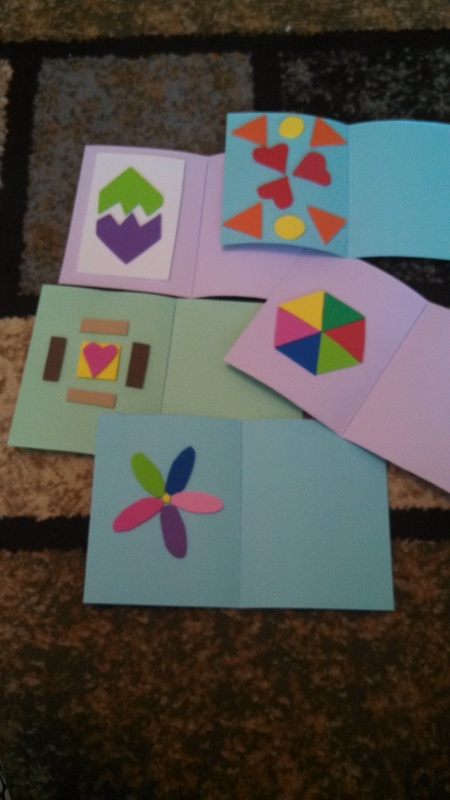 I was able to get two puzzles out of each sheet of construction paper. If I had it to do over again, I think that I would purchase full sheets of foam (unless I can locate self-adhesives…then I would definitely do those!!) 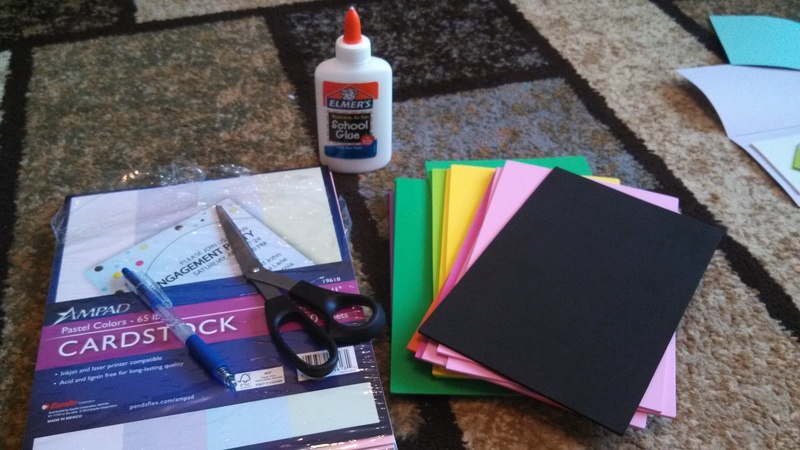 and use full sheets of construction paper. Some of my foam puzzle pieces ended up being quite small and I can imagine they might be easily lost. Here are my final puzzles! I folded them in half, which served to help me to keep the patterns only on one half. Plus it makes for more compact storage. Wingman is still a ways away from being able to understand how to do this project. But I am excited for when he is able to! !